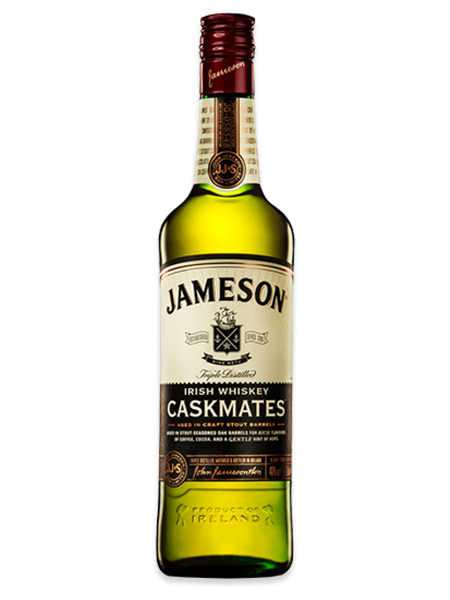 Jameson Caskmates (~€40) is the result of a collaboration between Midleton's head distiller and Cork's Franciscan Well Brewery's master brewer. A selection of casks were sent from Midleton to Franciscan Well Brewery. These casks were filled with stout for a period, before being returned back to Midleton. Standard Jameson was given a finish in the stout seasoned casks imparting additional cocoa, chocolate and butterscotch flavours resulting in Jameson Caskmates, bottled at 40% ABV.